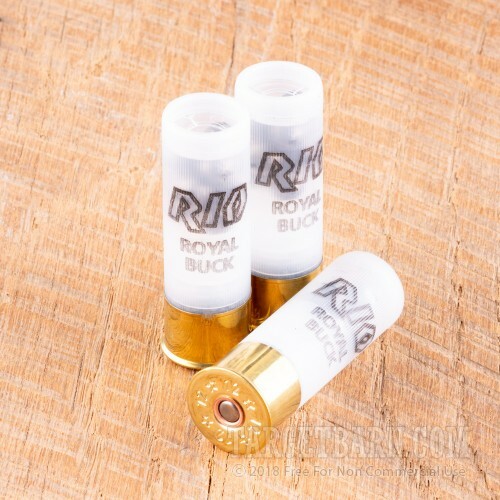 Shotgun hunters will appreciate the reach and power of this affordable 12 gauge load from Rio Royal. These shells come in a bulk priced case of 250 suitable for long term stockpiling and high volume use. 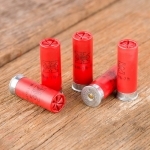 Each 2-3/4" shell in this case of 250 fires nine pellets of 00 buckshot at a muzzle velocity of 1,345 feet per second. 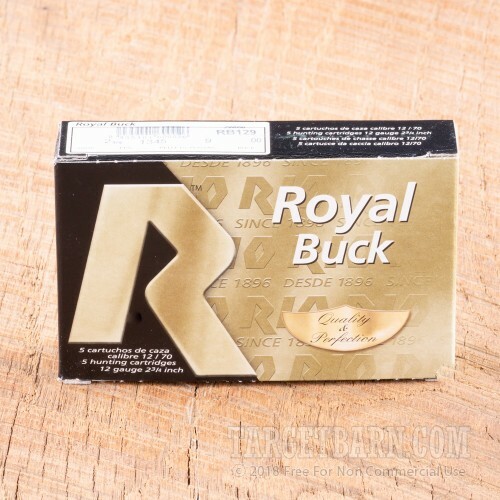 This velocity is slightly higher than even most full power buckshot loads, giving it excellent effective range and terminal performance against deer and other game; in a hunting situation, the small amount of added recoil is not a major concern for most shooters. 00 buck has a nominal diameter of .330 inches (or 8.38 millimeters in metric units) and is well regarded for its strong penetration and terminal performance. 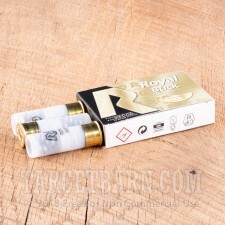 Rio Royal is a Spanish manufacturer with production facilities in both Spain and the United States. Their shotshells are well regarded for their reasonable cost and reliable ignition.